Formed in 1987, NSS Security Solutions continues to provide complete security services to Residential, Commercial and Government Clients. Our staff are highly trained and experienced and install only the highest quality state of the art equipment at affordable prices. Our solutions are tailored to your individual requirements ensuring we are able to protect, you, your family, your home, your business and your assets the best way possible. NSS Security Solutions offer the complete service, from Design to Installation of Security Systems to Back to Base Monitoring in a Grade A-1 Alarm Monitoring Centre ensuring that you have the highest possible standards in the industry. We also offer Patrols, Alarm Responses and Guards making business easy for you all with the one Company. NSS Security Solutions is now affiliated with Citiguard Protection Services and offers a complete professional service from a company that you can trust. Call Citiguard Protection Services on 1300 6624768 now to arrange a free consultation. 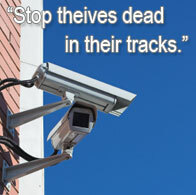 Fully installed monitored alarm system $1,090.00 LIFETIME WARRANTY.